Snarky Puppy – “… one of the most internationally respected names in instrumental music” says Jambase – is playing a sold-out season at SFJAZZ this week. Recipient of the 2017 Grammy Award for Best Contemporary Instrumental Album, this Brooklyn-based group has a revolving cast of around a dozen artists who lend their talents to the ensemble’s performances, playing guitars, percussion, horns, keyboards and even strings. Included in this group of guest performers is an ensemble known as Banda Magda – fellow GroundUP Music artists and regular collaborators of Snarky Puppy – who’ll be appearing with them on Thursday and Sunday this week. Founded by Greek-born singer, keyboardist and composer Magda Giannikou, Banda Magda has a wide repertoire, which includes samba, French chanson, Greek folk tunes, Colombian cambia and Afro-Peruvian lando. Snarky Puppy is at SFJAZZ from March 1st to 4th. Even though all performances are sold out, there might just be some returns, so keep an eye on the SFJAZZ website. San Francisco Performances presents a recital by French pianist Pierre-Laurent Aimard at the Herbst Theatre on Friday evening. This is part of a five-state, seven-city solo recital tour of the US which includes performances in New York and Philadelphia as well as San Francisco, before returning to the Cité de la Musique in Paris. Mr Aimard, described by The Wall Street Journal as “A brilliant musician and an extraordinary visionary”, was awarded the prestigious 2017 International Ernst von Siemens Music Prize, and this season starts his three-year tenure as Artist-in-Residence at London’s Southbank Centre. On Friday, Pierre-Laurent Aimard will perform works by two composers with whom he is frequently associated – Messiaen and Ligeti – and also Beethoven’s Hammerklavier sonata. For more information and tickets, visit the San Francisco Performances website. The Bolshoi Ballet performs Alexei Ratmansky’s 2008 revival of The Flames of Paris in cinemas around the United States and Canada this Sunday. Recorded live at the Bolshoi Theatre in Moscow on Saturday evening, this production was originally choreographed in 1932, by Vasily Vainonen, to a score by Boris Asafiev. Set against the dramatic and turbulent background of the French Revolution, with scenes depicting the storming of the Tuileries and the march on Paris, the work also draws parallels with the Russian Revolution. This production stars rising corps de ballet member Margarita Shrainer as Jeanne, with Leading Soloist Igor Tsvirko as Philippe, and members of the impressive Bolshoi company, turning out some stunning performances, with their customary exuberance and passion. The Flames of Paris can be seen at over 500 select cinemas in the US and Canada on Sunday, March 4th, at 12.55 pm ET and PT, 11.55 am CT and 10.55 am MT. Tickets may be obtained online from BolshoiBalletinCinema (where you can also see a list of theatre locations), or from the box offices of participating theaters. On Sunday afternoon, Davies Symphony Hall hosts a world premiere performance – Iranian composer Anahita Abbasi’s ….. within the shifting grounds… a work commissioned specially for the San Francisco Symphony Youth Orchestra, in a unique collaboration with the International Contemporary Ensemble (ICE). This work, with its imagery of a lush rainforest, the sound of birds and falling rain, has the orchestra divided into four groups, positioned around the concert hall, each representing differing sounds and colors. It will be live-streamed on the Symphony’s Facebook page www.facebook.com/sfsymphony at approximately 2:20 pm Pacific Standard Time. Also on the program are works by Gabrieli, Carl Ruggles, Richard Strauss, and Michael Burrit, as well as the Symphony No 7 by Beethoven. The San Francisco Symphony Youth Orchestra and Members of the International Contemporary Ensemble are led by Christian Reif. For more information and tickets, visit the San Francisco Symphony website. The first Sunday evening of the month is what Classical KDFC refers to as “the night that sings” – when the Bay Area’s classical radio station broadcasts a recording from the archives of San Francisco Opera. 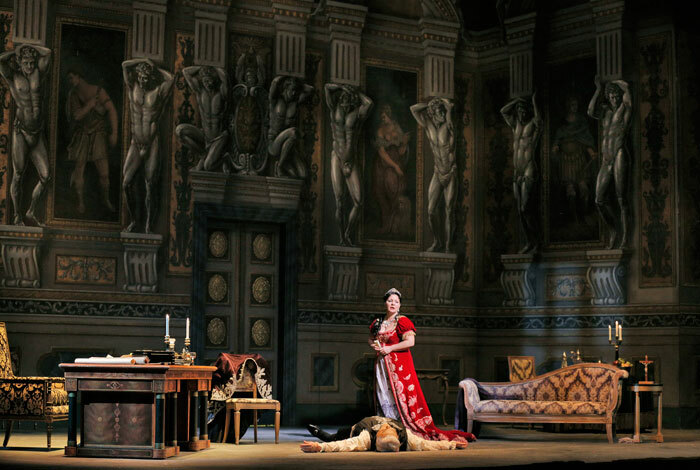 This month, it’s a 2014 recording of Giacomo Puccini’s Tosca, starring Armenian soprano Lianna Haroutounian in the title role, with tenor Brian Jagde as Cavaradossi, bass-baritone Mark Delavan as Scarpia and bass-baritone Dale Travis as Sacristan. Puccini’s powerful work has a particular place in the history of San Francisco Opera. It was performed during the Company’s very first season, in 1923, and again at the re-opening of the War Memorial Opera House in 1997 following its closure for retrofitting. This 2014 production, which marked the Company debut of Ms Haroutounian, has Riccardo Frizza leading the San Francisco Opera Orchestra and Chorus (director Ian Robertson). 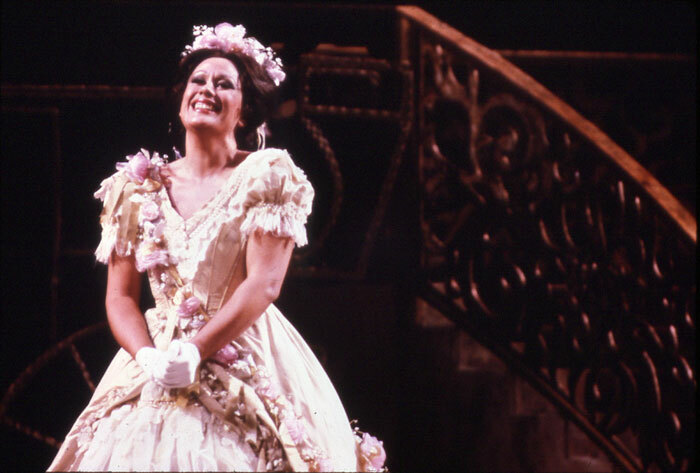 The San Francisco Opera broadcast can be heard on Sunday, March 4th at 8.00 pm on Classical KDFC. Visit www.kdfc.com for tuning frequencies, or to listen online. Before we leave the world of opera, the second performance in the 35th anniversary season of the Schwabacher Recital Series takes place at the Taube Atrium Theatre on Wednesday March 7th. Presented by San Francisco Opera Center and the Merola Opera Program, this series of recitals has, since 1983, not only given music lovers an opportunity to hear stars of the future, but helped to launch the careers of some internationally acclaimed artists. The first concert features soprano Felicia Moore, bass-baritone Christian Pursell and pianist César Cañón. For more information and tickets, visit the San Francisco Opera website. In the final concert marking this season’s Bernstein Centennial, the San Francisco Symphony is led by Russian conductor Andrey Boreyko. The program opens with the legendary composer and conductor’s Divertimento for Orchestra, continues with his Serenade (after Plato’s Symposium) – performed by guest violinist Vadim Gluzman – and concludes with the Shostakovich Symphony No 5. Israeli violinist Vadim Gluzman refers to Bernstein’s Serenade as “one of the greatest violin concertos of the 20th century, an absolute masterwork” and leaves us in no doubt about the degree to which he’s going to enjoy playing it at Davies Symphony Hall this week. It’s a work which he’s recently performed with the BBC Symphony Orchestra, and also with the Czech Philharmonic. Other highlights of his 2017-18 season include appearances with Riccardo Chailly and the Royal Concertgebouw Orchestra in Amsterdam, the Festival des Pâques in Aix-en-Provence, the Bayerisches Staatsorchester with Daniele Rustioni, and the Boston Symphony under the direction of Tugan Sokhiev. Next season, Mr Gluzman will take up his position as Distinguished Artist in Residence in the violin faculty at the Peabody Conservatory of the Johns Hopkins University, where he will teach a private studio of violin majors, coach ensembles and present public master classes. 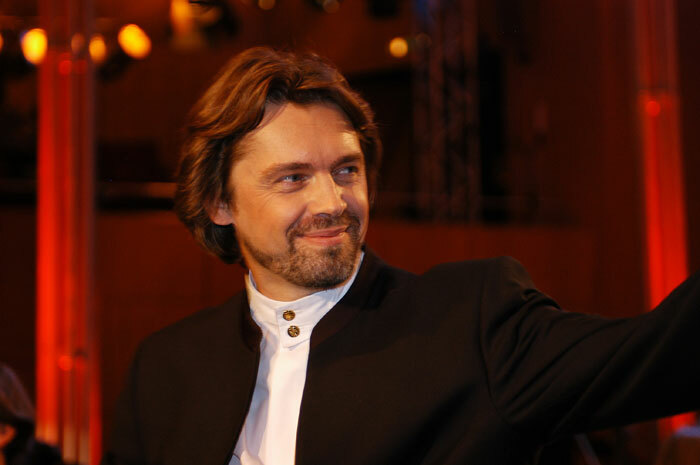 Andrey Boreyko has, since September 2014, been Music Director of the Artis-Naples – home of the Naples Philharmonic and the Baker Museum. From 2012 to 2017 he was Music Director of l’Orchestre National de Belgique, and held the same position with the Düsseldorf Symphoniker from 2009 to 2014. For three consecutive seasons he was the recipient of an award from the Deutscher Musikverleger-Verband for the most innovative concert programming – the first in the history of the prize. He has appeared with some of the world’s finest orchestras – such as the Berlin, New York and Los Angeles philharmonics, Staatskapelle Dresden, l’Orchestre de Paris, the Tonhalle Orchestra of Zurich, Filharmonica della Scala and the Royal Concertgebouw Orchestra. A seasoned conductor of the symphonic repertoire, and passionate about the performance of less widely known works, Maestro Boreyko also enjoys long-term relationships with the most prestigious of European ensembles. Leonard Bernstein’s Divertimento for Orchestra is described as lighthearted and joyful – a work apparently inspired by his youth. It was commissioned by the Boston Symphony Orchestra in 1980 – where Bernstein had served as assistant to the orchestra’s conductor, Serge Koussevitzky – and he dedicated it “with affection” to the BSO on the occasion of its first centennial. The Divertimento is a series based on two notes – B for Boston and C for Centennial. 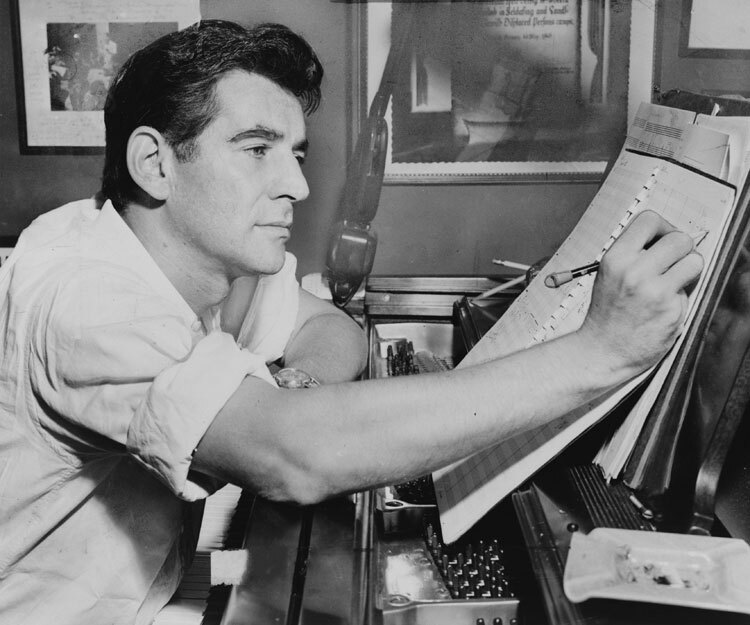 Bernstein’s Serenade is regarded as one of his most lyrical works. Composed for his friend, violinist Isaac Stern, it was written in 1954, and dedicated to the memory of his mentor, Koussevitzky, and to the conductor’s first wife, Natalie. As with a number of his works, the Serenade was inspired by literature, on this occasion Plato’s dialogue The Symposium. In an interview with his biographer Humphrey Burton, Bernstein described it as “seven speeches, at a banquet, after-dinner speeches so to speak” on the subject of love. The final work in the program is the Shostakovich Symphony No 5 . It was written during the fearful time of Stalin’s purges, and followed the displeasure of the Soviet authorities which Shostakovich had incurred with his 1934 opera Lady Macbeth of the Mtsensk District. The symphony was regarded as a measure of atonement for the heavily criticized opera, and it duly featured a lyrical style, with what’s described as “a heroic tone and inspiration from Russian literature”, according to the notes from the Keeping Score series which Michael Wilson Thomas and the Symphony devised for KQED. Nevertheless, the notes continue, “many hear a subtext of critical despair beneath the crowd-pleasing melodies”. Andrey Boreyko leads the San Francisco Symphony and guest artist Vadim Gluzman in works by Bernstein and Shostakovich at Davies Symphony Hall from February 22nd to 24th. For more information and tickets, visit the San Francisco Symphony website. The second San Francisco Ballet program to open this week takes the title Distinctly SF Ballet – ‘Distinctly’ being the operative word. Not only were these ballets created for the company – by three Bay Area choreographers – but each is decidedly different in character and style from the others. This triple bill opens with a ballet in the neoclassical style by Artistic Director Helgi Tomasson, and is followed by a dramatic piece by Resident Choreographer Val Caniparoli, based on the works of Norwegian playwright Henrik Ibsen. The program closes with a work by company member, and rising choreographer, Myles Thatcher, which has a resonance with current social issues. Helgi Tomasson’s On a Theme of Paganini has been in the Company repertoire since it premiered in March 2008. For this work he chose Rachmaninoff’s Rhapsody on a Theme of Paganini – the composer’s variations on the Caprice No 24 for solo violin written by Niccolò Paganini. This justifiably much-loved piece of music, with its one-movement format, is a concertante for solo piano and orchestra. It follows the style of a concerto in that the variations of the first section are mostly lively or dramatic – but suddenly they give way to the beautiful and lyrical Variation No 18 – the setting for the central pas de deux – before the work once more reverts to the style in which it opens. Val Caniparoli is known for the versatility of his output. His works are in the repertoires of more than 45 companies – mainly in the United States, but also in Canada, Singapore, Hong Kong and South Africa – covering a range classical, contemporary and ethnic styles. His association with San Francisco Ballet goes back over 40 years – both as a dancer and choreographer. He has also choreographed for three major US opera companies – San Francisco Opera, Metropolitan Opera and Lyric Opera of Chicago – and has also collaborated with the San Francisco Symphony. Caniparoli has based his ballet Ibsen’s House on the female protagonists from five of the playwright’s works – A Doll’s House, Ghosts, Rosmersholm, The Lady from the Sea and Hedda Gabler – in which Ibsen confronted Victorian social mores, particularly those relating to the position of women in society. Aiming to highlight both the technical skills of the women in the company, as well as satisfy their aspirations to perform dramatic roles, Caniparoli chose well with Ibsen. The work is set to Czech composer Antonin Dvořák’s Piano Quintet No 2 (omitting the third movement), a fine representation of Romantic-era chamber music, which reflects both the composer’s skill with lyricism and his love of Eastern European folk music. Myles Thatcher has been a member of San Francisco Ballet since 2010, having danced both principal and featured roles, and Ghost in the Machine is the third ballet that he’s choreographed for the company. 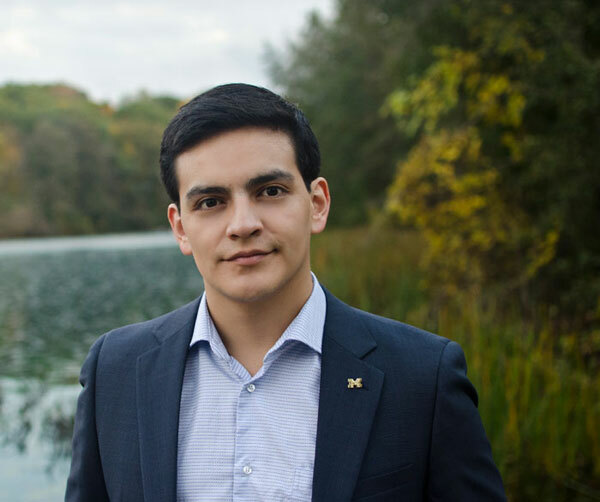 He also has works in the repertoires of New York City Ballet and Joffrey Ballet, and was selected by Alexei Ratmansky to participate in the 2014–15 Rolex Mentor & Protégé Arts Initiative. His first work for the Company, Manifesto – written in 2015, and for which he was nominated for an Isadora Duncan Award – reflected, he says, the personalities of his colleagues, and the way in which they related to each other. Ghost in the Machine – which premiered last April – focuses on what he terms “the vulnerability to share experiences with others, to find solace in community”, which he sees almost as a defense against the adversarial political environment with which we are surrounded today. For the score, Thatcher has drawn from the prolific output of the remarkably versatile and dynamic British composer, Michael Nyman – also a conductor, pianist, writer, musicologist, photographer and ﬁlm-maker. The seven pieces featured in this ballet are taken from The Draughtsman’s Contract, A Zed and Two Noughts, Drowning by Numbers, and three pieces from Nyman’s gorgeous score for The Piano. San Francisco Ballet presents Distinctly SF Ballet, with the San Francisco Ballet Orchestra, led by Martin West, at the War Memorial Opera House between February 15th and 25th. For more information and tickets, visit the San Francisco Ballet website. Happy is the ballet company that has such a wealth of works in its repertoire that it can schedule six triple bills and a four-ballet program in one season. 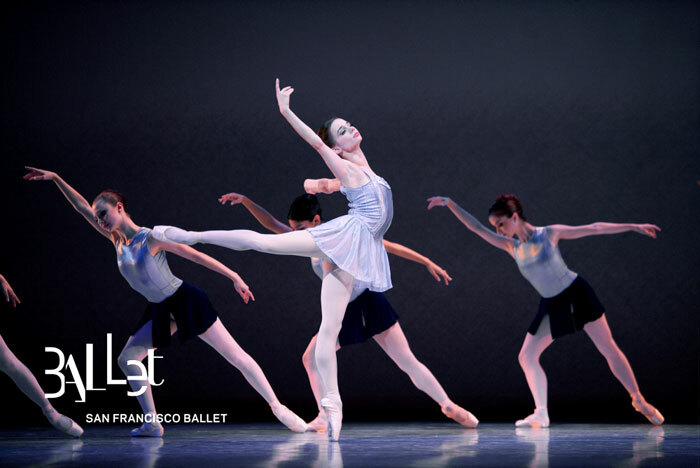 San Francisco Ballet enjoys this status – and is in the unique position of including in this total 12 world premieres which have been written specifically for the Company. Already this season we’ve seen one of the three full-length ballets – The Sleeping Beauty – and still have Frankenstein to come, as well as a visit by the National Ballet of Canada with its production of Nijinsky. Bay Area audiences are indeed spoiled for choice. Mid-February sees the opening nights of two of the triple bills – within a couple of days of each other – the first bearing the title Bright Fast Cool Blue – which gives a good indication of what to expect. It features three very different works: George Balanchine’s Serenade, Benjamin Millepied’s The Chairman Dances – Quartet for Two, and Rodeo: Four Dance Episodes by Justin Peck. Serenade was the first original work that Balanchine choreographed after his arrival in the United States in 1933, and one that wasn’t initially intended for performance. He actually created it as a ballet lesson for the students of the School of American Ballet, to teach them how to dance on stage, which is why it retains elements of the classroom in its choreography. A dancer rushes in late for class, another trips and falls, and yet another dancer’s hair falls loose – he left all these incidents in. This is one of those gorgeous classical works in the Russian tradition, that needs no set or synopsis to enhance it. The dancers are elegantly clad in delicate pale blue romantic tutus – designed by Barbara Karinska – against a deeper blue backdrop, and the work is set to the exquisite Serenade for Strings by Tchaikovsky – a composer, according to the Balanchine Trust, for whom the choreographer had a special affinity. The work, which was composed in the autumn of 1880, was initially intended to be either a symphony or a string quartet, but during the six weeks that it took Tchaikovsky to write it, he decided on a serenade, which by definition falls midway between the two. It was a “popular triumph” when it premiered in St Petersburg in October 1882, and at its first performance in Moscow it even won unqualified praise from none other than Anton Rubinstein, who had spent years as an unrelenting and fierce critic of Tchaikovsky. In its present form, Serenade has four movements – Sonatina, Waltz, Elegy and Russian Dance, however Balanchine reversed the order of the last two movements, ending his ballet on a somewhat melancholy note. French-born choreographer Benjamin Millepied has had a career which is interesting, to say the least. Winner of the 1994 Prix de Lausanne while a student at the School of American Ballet, he developed his talent for choreography whilst at New York City Ballet where he became a principal dancer. He founded an international touring company – Danses Concertantes – spent a year as choreographer in residence at Baryshnikov Arts Center, and was made a Chevalier in the Order of Arts and Letters by the French Ministry of Culture in 2010 – the same year in which he choreographed and appeared in the film Black Swan. Two years later he founded the LA Dance Project, then founded an artist collective, Amoveo, and in 2014 became artistic director of the Paris Opera Ballet for two years. Taking his leave of this company in 2016, Millepied returned to Los Angeles and the LA Dance Project, which recently participated in the PIVOT Festival 2018 in San Francisco, in which three of his works were performed. His first feature film – a musical adaptation of Carmen, scheduled for release in 2019, will be one to watch for. If Millepied’s ballet The Chairman Dances – Quartet for Two seems to have a slightly unusual title, you’ll work out why when you hear that the music was written by contemporary Bay Area composer John Adams, one of whose most well-known works was the opera Nixon in China. For the first part of Millepied’s work he uses an ‘out-take’ from the opera, written for a sequence in which Chairman Mao and his wife were supposed to dance a foxtrot together. The other piece is Christian Zeal and Activity, the middle section of Adams’ American Standard. The Chairman Dances – Millepied’s first commissioned work for San Francisco Ballet – had its world premiere at the Company’s gala presentation in January last year, where it earned itself the status of one of the high points of the evening. When choreographer Agnes de Mille created Rodeo for the Ballet Russe de Monte Carlo, she is quoted as saying that she wanted “the best American composer for the music, Aaron Copland” – and although the company was apparently somewhat reluctant about commissioning this score, it became de Mille’s best loved and most frequently performed work, premiering at New York’s Metropolitan Opera House in October 1942. Copland subsequently created a symphonic suite by shortening four of the main dance scenes from the ballet, which he called Four Dance Episodes from Rodeo, and it’s this score which Justin Peck uses for his ballet which he calls Rodeo: Four Dance Episodes. Peck has put an interesting spin on his work, though. Instead of choreographing it for a mixed group of dancers, he has 15 men and just one woman, dispensing completely with the traditional storyline and simply going for broke in terms of energy, athleticism and incredible style. At its premiere in 2015, according to The New York Times, it “caused a sensation”, and coming from an artist who’s regarded as one of the most interesting of today’s young choreographers, this is hardly surprising. Resident Choreographer of New York City Ballet since 2014, Justin Peck is fast becoming a name to be reckoned with in the world of dance creation, having choreographed ballets for companies such as the Paris Opera Ballet, LA Dance Project, Lincoln Center’s Fall for Dance Festival and the School of American Ballet, as well as San Francisco Ballet, which premiered his impressively successful In the Countenance of Kings in 2016. 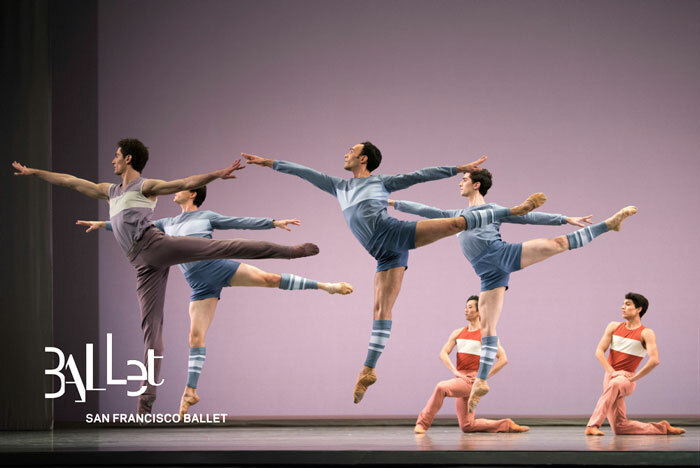 San Francisco Ballet, with the San Francisco Ballet Orchestra under the direction of Martin West, presents Bright Fast Cool Blue at the War Memorial Opera House from February 13th to 24th. For more information and tickets, visit the San Francisco Ballet website. 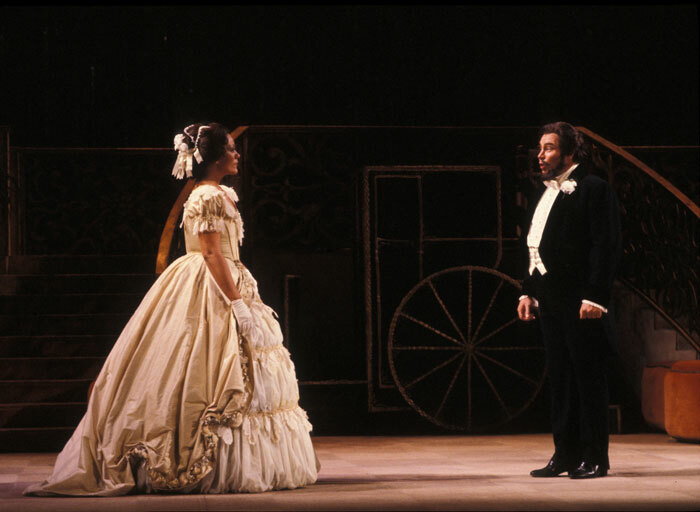 From the archives of San Francisco Opera comes a performance of Richard Strauss’ romantic opera Arabella – which premiered at the War Memorial Opera House on October 29th, 1980. It’s to be broadcast tomorrow evening, February 4th, by Classical KDFC. 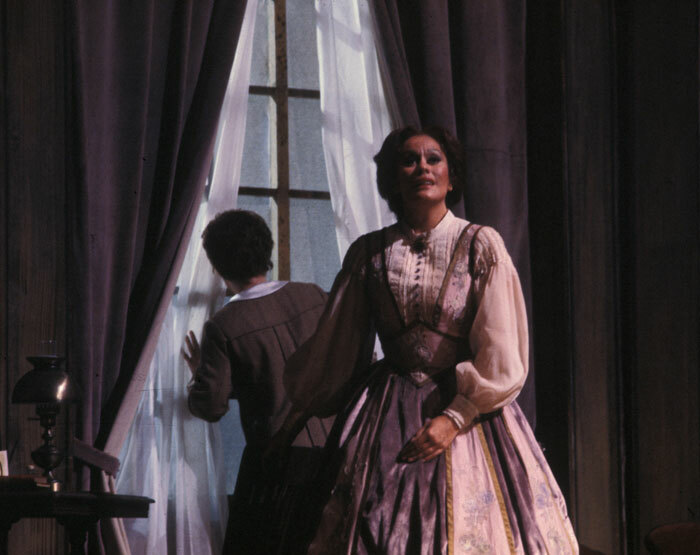 The recording of this tale of love, mistaken identity and near-catastrophe, stars soprano Kiri Te Kanawa in the title role, with soprano Barbara Daniels as Arabella’s sister Zdenka – forced to take on the identity of a brother in order to help the family finances. Tenor William Lewis is Matteo – the object of Zdenka’s desire – and Swedish baritone Ingvar Wixell is Count Mandryka, a wealthy suitor to whom Arababella is also attracted, much to the relief of her family. The San Francisco Opera Orchestra is led by German conductor Wolfgang Rennert (1922-2012). The collaboration between Richard Strauss and librettist Hugo von Hofmannsthal produced a number of successes during the first part of the 20th century – Elektra (1909), Der Rosenkavalier (1911) and Die Frau one Schatten (1910) being the most popular. Towards the end of the 1920s, Strauss was keen to repeat the formula, urging von Hofmannsthal to collaborate with him on “a second Rosenkavalier”. Although a degree of tension had existed between the two artists for a number of years prior to this, von Hofmannsthal complied with Strauss’ request and started work on a libretto for Arabella in 1929. By July, the first act had been completed, and the following two had been provisionally set, but the librettist died suddenly on the 15th of that month, and Strauss was so deeply affected by the loss of his friend and collaborator, that he put the work aside, and didn’t return to it until 1932, leaving the second and third acts as von Hofmannsthal had provisionally written them. Arabella premiered at Semperoper in Dresden in 1933. Set in Vienna in the 1860s, Arabella tells the somewhat convoluted story of a beautiful girl, whose father expects her to marry for wealth, to prevent the financial ruin of the family. Arabella, however, longs for true love, convinced that she’ll know when the right man comes along. Her father invites a wealthy old army friend of his, Count Mandryka, to visit Vienna, hoping for a match between him and his daughter, but to his surprise, the man who arrives is the old Count’s nephew, having inherited his uncle’s wealth and title following his death. Arabella does indeed fall for the young Count, as he does for her, but a case of mistaken identity – involving a plot by her sister Zdenka to gain the attentions of a young officer Matteo – almost destroys Arabella’s chances. For a time it appears as though her hopes of love will be dashed, but finally, her sister confesses, and amidst her apologies and explanations, the mystery is finally unraveled. 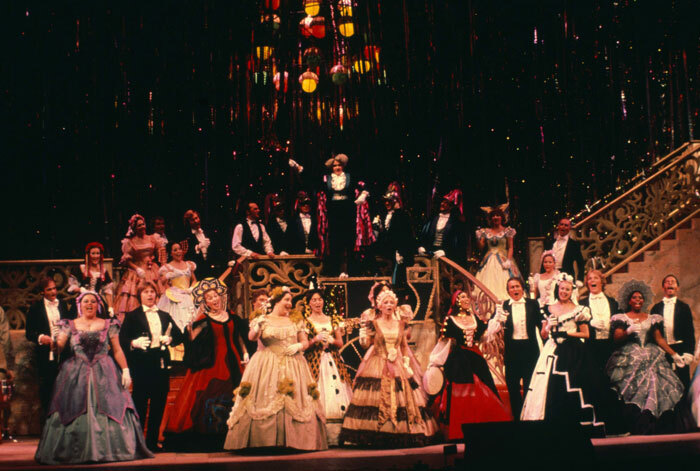 The broadcast of San Francisco Opera’s 1980 production of Richard Strauss’s Arabella takes place on KDFC – the Bay Area’s classical music radio station – at 8.00 pm on Sunday evening. For tuning frequencies, log on to the the KDFC website, where you can also listen online. Arabella can be seen on the stage of the War Memorial Opera house for the first time in two decades during San Francisco Opera’s 2018-19 season. Soprano Ellie Dehn will make her debut in the title role, Heidi Stober will sing Zdenka, Brian Mulligan will take the role of Mandryka, Daniel Johansson that of Matteo and Hye Jung Lee will sing the Fiakermilli. Production is by Tim Albery. On the podium will be Chief Conductor of the Dutch National Opera – and renowned Strauss interpreter – Marc Albrecht, making his American operatic debut.